Well, this year was full of weddings and that too multiple ones on the same day. TV actors and actresses have often donned the attire of bride and groom for their respective shows. The on-screen wedding sequences have always worked wonders for the show to gather TRPs. In fact, time and again, the actors have truly won the audiences love and appreciation for their flawless acting and charismatic bride-groom looks. And just like their reel life weddings, their real life weddings are also equally grandeur and splendid. This year was all about weddings, and a lot of couples from the small screen got hitched and some couples tied the knot on the same day. While some were low-key affairs, some were hush-hush and others were grand, this year was truly the year for wedding celebrations. In our Best Of 2017 features marathon, we list down all the 14 weddings that happened this year. Somya Seth and Arun Kapoor tied the knot in the U.S on 15th January 2017. 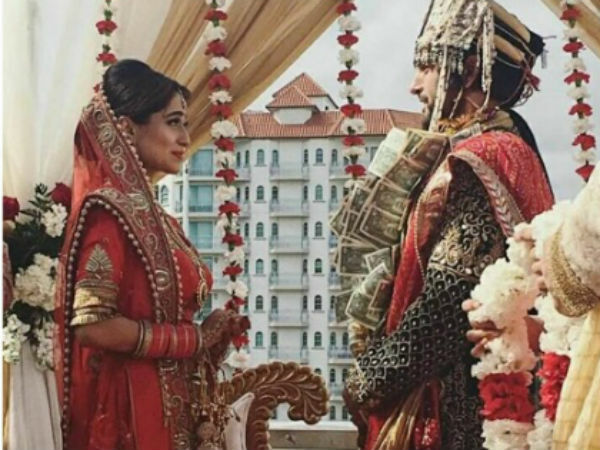 Somya's entire relationship with Arun right from their engagement to their wedding and even their baby, was a very low key and intimate affair. 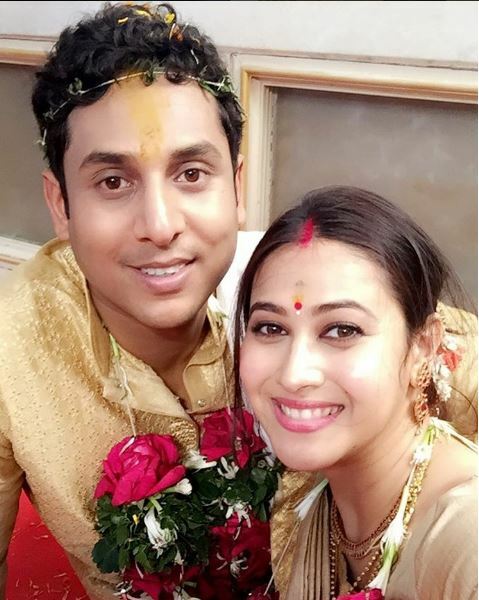 Panchi Bora tied the knot to Jaydeep, a non-industry guy in a completely secretive ceremony on 17th January, in an Assamese style wedding. In fact, Panchi's wedding was so hush-hush that the industry came to know of her marriage almost a month after it took place. Mandana Karimi who rose to fame with Bigg Boss and then went on to do films, married businessman Gaurav Gupta on January 25th in an intimate ceremony. However, the couple lasted for only a few months with Mandana filing a domestic violence complaint against Gaurav and his family. 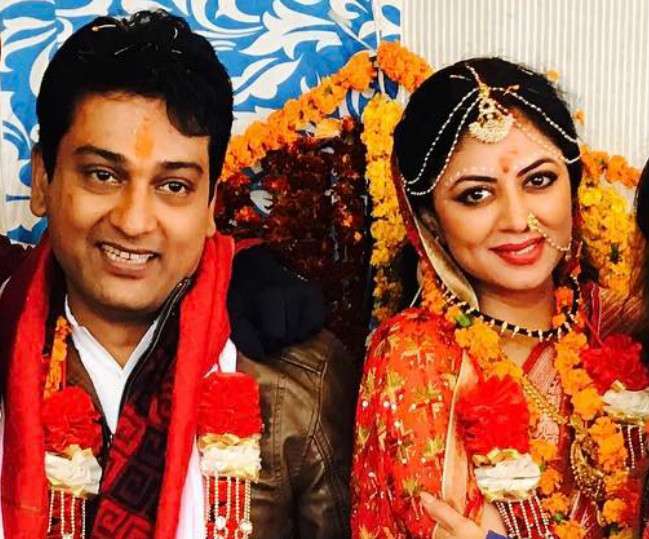 The mountains were calling for Kavita Kaushik who decided to get hitched to her best friend Ronnit Biswas. The couple tied the knot in Kedarnath on January 27th in the presence of only 15 guests. The actress sent a message to her folks and also issued a disclaimer in which she stated that she was not pregnant. That actress, Pooja Bannerjee is an avid swimmer is a well known fact. In fact, Pooja got married to her fiance, Sandeep Sejwal who is an Asian Games Medalist on February 28th. Actress Navina Bole and longtime boyfriend Karan Jeet wed on the 4th of March with Navina's Ishqbaaaz co-stars in attendance. Meri Aashiqui Tumse Hi actors, Gautam Gupta and Smriti Khanna who met and fell in love on the sets of the show, tied the knot at a 5-star hotel in Mumbai in the presence of close friends, family and quite the Bollywood glitterati in attendance, on 23rd November. Smriti and Gautam made quite the pair with Smirti in a baby pink lehenga and Gautam in a baby blue sherwani. Actor Siddhanth Suryavanshi and supermodel Alesia Raut tied the knot on 23rd November 2017 after the open declaration of their relationship and engagement back in May. Actor Naman Shaw tied the knot with his best friend Nehaa Mishra on 23rd November in Naman's hometown Kolkatta. Naman draws parallels of his relationship to SRK-Kajol's Kuch Kuch Hota Hai, where Rahul (SRK) finds his life partner in Anjali (Kajol). Vatsal Sheth and Ishita Dutta's love story was a filmy one with Vatsal saving Ishita from falling when her saree got entangled in a fan on the sets of their show, Rishton Ka Saudagar - Baazigar. The couple's marriage was one of those weddings that came as a pleasant surprise to the entire industry. In a very hush-hush ceremony, Vatsal and Ishita tied the knot on the 28th of November at the ISKON temple in Juhu. Here again, quite a few B-Town celebs were present to wish the couple. Popularly known as Lord Krishna, Saurabh Pandey tied the knot with his girlfriend of 10 years, Zara Soni barring on the 28th of November at ISKON Temple, Juhu. Actors Abhishek Bajaj and Akanksha Jindal tied the knot after a 7-year long relationship on the 29th of November in Delhi, in a grand affair. Aashka Goradia and Brent Goble never hid their relationship from the world. And in fact, the couple's union too was a beautiful spectacle for the world to see. The couple had not one but two weddings - a white wedding and a traditional Indian wedding on the 3rd of December in Aashka's hometown, Ahmedabad. The comedienne tied the knot with her longtime boyfriend Haarsh in a lavish three-day destination wedding in Goa. One of the highlights of the wedding was Bharti and Haarsh's wedding ensemble which was an unusual colour combination of Blue and Pink respectively. Which wedding will you remember the most? Leave in your comments below..